When a Christian neighbor or friend asks a question such as, “Who is your pastor or which denomination you belong to?”, you can now invite them to watch this short video. It is a wonderful opportunity to share why we meet the way we the way we do. 78% of people watch videos every week. 100 million hours of video are viewed everyday on the internet. We believe that if we are to communicate NT truths to this media hungry generation we need to have a video presentation. Understanding sound doctrine isn’t the same as communicating it to others. It is high time that New Testament patterned churches invested in the projects like the one Ashish has started. We have lots to learn, as a network of assemblies, on how to best use technology to reach our generation with Biblical truth. In this age and time of media & technology, this video would be a great tool to introduce our fellowship to other Christians. We appreciate your efforts brothers, to share the ‘what’ and the ‘why’ some of us choose to meet with other believers, and meet in the Name of the Lord. This is a great tool to communicate biblical truth to a new generation. I commend your efforts! “. . . for such a time as this?” Esther 4:14 comes to mind when I watch this video. What a brilliant way to share NT truths to our neighbors and the world. “… Finally someone is making an effort to communicate with the modern world about the existence of the 1200+ New Testament patterned churches of N. America & doing it in the place where people are looking. Web video is our modern day “Mars Hill” (Acts 17). Doug Rice, Elder, Wheatland Bible Chapel, TX. Today the first contact point of your Assembly is often through the internet. 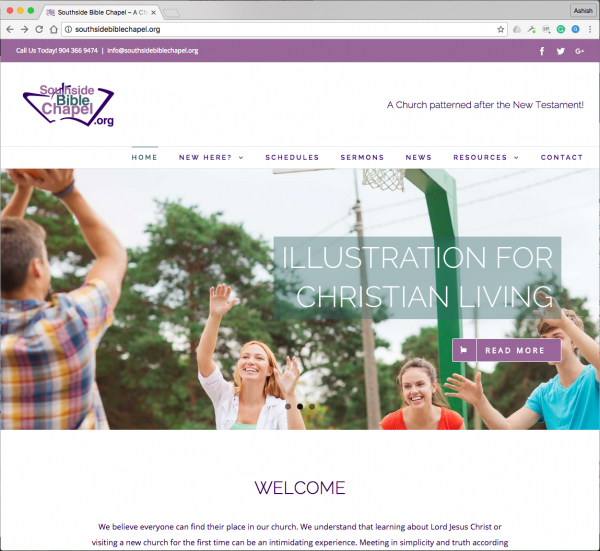 As a poorly maintained church property would be a bad testimony, so also is an outdated website in today’s media oriented world. Acts 18:13 “…This fellow (Paul) persuadeth men to worship God…” Our vision is to continue to produce more high quality videos as a means of sharing NT truths that in turn generates a curiosity in people to worship God, looking to the scriptures for directions. It is our desire to also produce videos on the topics like Assurance of Salvation, Would Apostle Paul be a Catholic, Methodist or a Baptist? Many of you know that this is a very costly endeavor. From renting equipment to hiring media professionals, the cost of a short ten minute video can exceed 5 figures very quickly. Burdened of the Lord with this idea, we have trusted Him and used our available but limited resources to initiate this work. Our Head in glory will need to provide for this ministry to continue. The status quo is causing some NT meetings to lose their witness.